The FlexiKart is technically not one of Armorgard’s big product launches from this year’s line-up, but you’d have a hard time telling that from the specs alone. The differences are design features, such as its box section arms, its load performance, and its manoeuvrability. 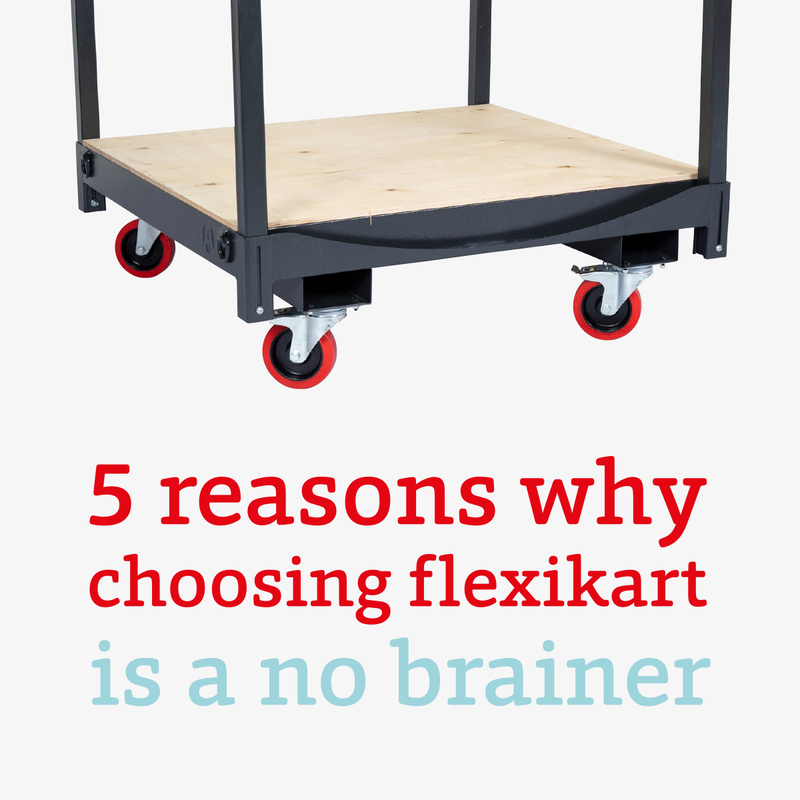 All of which means that if you want to upgrade to a more efficient pallet storage system, you’ll probably be well-served with the FlexiKart, which is an effective means for keeping goods 'off the ground' on sites. Particularly when the concrete formwork has been erected and there are many pallets of goods coming in to start the fit-out stage. Armorgard design chief Matt Partridge called The FlexiKart “the smartest manual handling and product storage capabilities ever in a pallet skate” and said that it’s the first multi-purpose, safer, folding, crane liftable pallet skate on the market, and we see no reason to dispute that. It’s packed with beautifully, innovative and practical features (which puts it in a different league to the standard pallet skate), along with a long list of real benefits. It’s designed to solve a real common problem. The original design came about as a customer had high-stacked pallets of goods that needed to be moved around regularly and therefore was not always efficient to be searching for a pallet truck/fork lift. They needed a heavy-duty trolley of sorts. By using a combination of the box section arms and the lashing rings, the FlexiKart provides a safe transportation method for the goods to prevent H&S incidents. It’s also more ergonomically friendly than using a standard pallet skate because of the folding arms, which means the person using The FlexiKart doesn’t need to bend down. The FlexiKart is easily stackable (with fork pocket skids), is multipurpose: goods pallets, boards, grating, tubes/pipes/ducting, non-hazardous drums, crates, and you can use two in tandem for long loads when necessary. Removes need to use a forklift every time you need to move the goods or equipment. If you want to save money and reduce your carbon footprint at the same time, switching from a fork lift truck power source to The FlexiKart can achieve both these goals. Young people don’t want construction jobs. And the existing ageing workforce is stressed out.